Store all kinds of items in style with this elegant Nexera nightstand. Styled with a contemporary look, this piece is sure to bring even more style in your home. This handy nightstand is perfect for placing an alarm clock, storing books, or holding a bedside lamp. The Liberty Mid-Century Modern Nightstand 2.0 is where modern functionality meets quality craftsmanship and smart design. Cool metal handles protect a pair of drawers durable enough to carry 22 lbs. and a base top perfect for showcasing books, magazines, or candles. As an end table or as a nightstand, the piece serves dual purposes and blends well in any space. Available in white, white and rustic brown, white and aqua blue, and white and yellow. 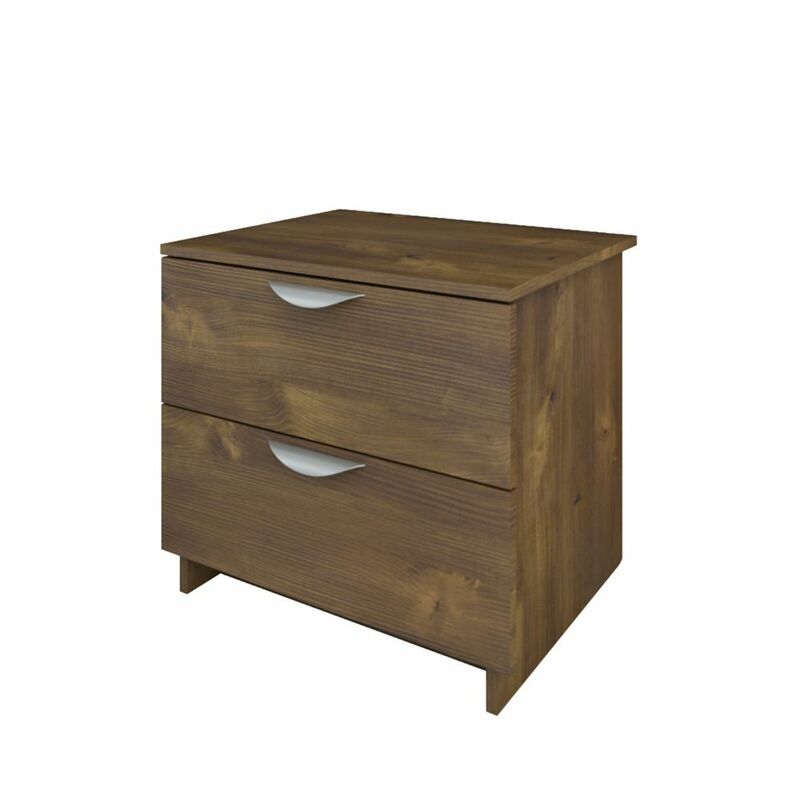 Kabane 341105 Night Stand from Nexera offers 2 convenient storage drawers to keep your books, magazines, personal effects, etc. handy while in bed. Kabane Collection from Nexera is a contemporary bedroom collection offered in a rich Natural Maple finish with a choice of 3 platform bed sizes - twin, full and queen. Nocce 23.75-inch x 21.06-inch x 18.88-inch 2-Drawer Nightstand in Brown Store all kinds of items in style with this elegant Nexera nightstand. Styled with a contemporary look, this piece is sure to bring even more style in your home. This handy nightstand is perfect for placing an alarm clock, storing books, or holding a bedside lamp.